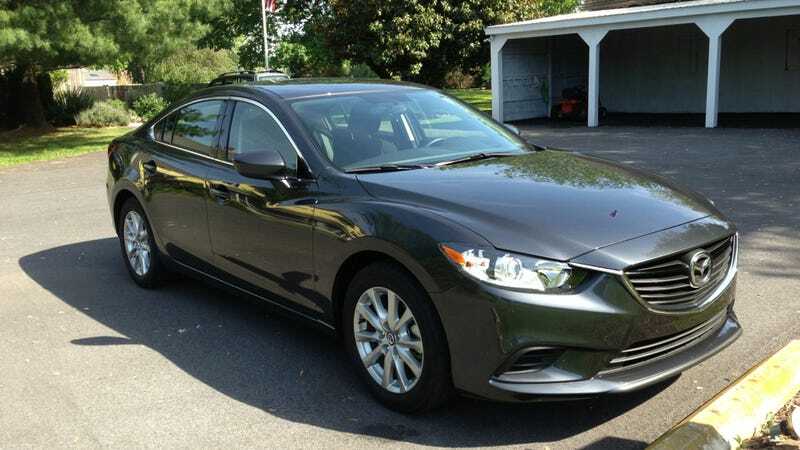 Travis already did a review of the new Mazda6 earlier this year, but I have one for the next week or so. I'd be happy to answer any questions you might have about it. So far after a few hours of mixed highway and city driving, my impressions are this. Pros: Pretty nice interior materials, six-speed manual (woo! ), good backseat and trunk room, impressive fuel economy, decent stereo, logical layout of buttons and stuff. Cons: Not especially fast or sporty, engine sound is unimpressive, overly light and numb steering, not really what I'd call a driver's car. I like it, but I like the smaller, more tossable Mazda3 hatch better. Let me know if you have questions and I'll try to hook you up.